COAL MINE FATALITY – On July 25, 2017, a 28-year-old bulldozer operator with 1 year and 9 months of mining experience was fatally injured at a surface facility. The victim was operating a bulldozer, pushing material off of a refuse bank before the accident occurred. He was found lying in the bulldozer’s push path at the top of an incline near the edge of the refuse bank. The bulldozer had run over the victim and continued over the edge of the incline, coming to rest at the bottom of the embankment. Ensure that persons are trained, including task-training, to understand the hazards associated with the work being performed. Maintain control of mobile equipment while it is in motion. Maintain equipment braking systems in good repair and adjustment. Conduct proper maintenance on safety related systems. Before leaving a bulldozer unattended, operators should follow manufacturer recommended operating procedures to ensure that the equipment is secured from movement. 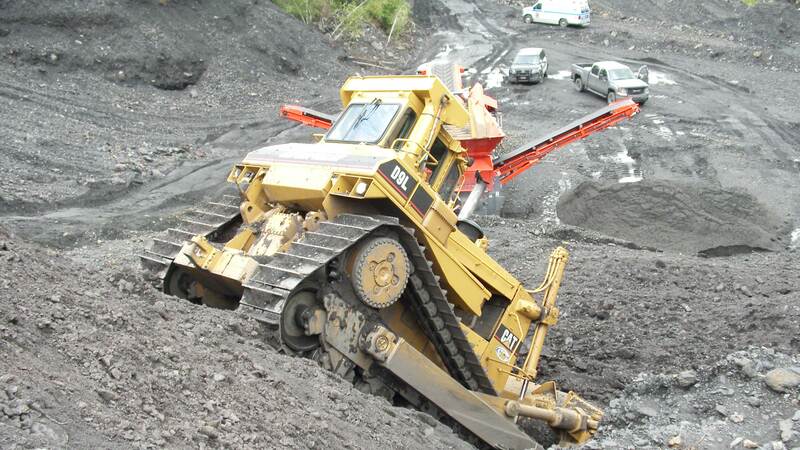 This could include disengaging the transmission, setting the parking brake, and lowering the bulldozer blade to the ground before dismounting the equipment. Do not depend on hydraulic systems to hold mobile equipment stationary. Establish and discuss safe work procedures before beginning work. Identify and control all hazards associated with the work to be performed and use methods to properly protect persons. Submit your own suggestion for a remedy to prevent this type of accident in the future. Please specify if you wish your submission to be anonymous or whether your name may be used. Please include the year of the fatality and the fatality number. This accident is classified as Machinery. As of this date in 2016, six fatalities were reported in the coal mining industry, two of which were machinery. This is the tenth fatality reported in 2017 in the coal mining industry with two of them being classified as machinery. The information provided in this notice is based on preliminary data ONLY and does not represent final determinations regarding the nature of the incident or conclusions regarding the cause of the fatality.